Significance – Know how do the Barnes Dance? You do an interpretation of it every time you cross the street. The Barnes Dance., also known as a pedestrian scramble, is a street-crossing system that stops all traffic and allows pedestrians to cross intersections in every direction at the same time. Its named after Henry Barnes, a visionary Denver traffic engineer at the time when the motorcar was overtaking America. Inscription – The first traffic signal with a pedestrian walk component was installed here by Henry Barnes in 1952. The resultant diagonal crossing pattern was reminiscent of a square dance colloquially known as the Barnes Dance. Barnes stated, The time had come to give the pedestrian a 30 to 70% chance of getting across the street alive. Details – Try and cross safely. The age of the motorcar was upon us and pedestrians were at a disadvantage. Henry A. Barnes (December 16, 1906 September 1968) was an American traffic engineer and commissioner at a time when the motorcar was overtaking America. A visionary, Barnes implemented new ideas as the Denver traffic commissioner. 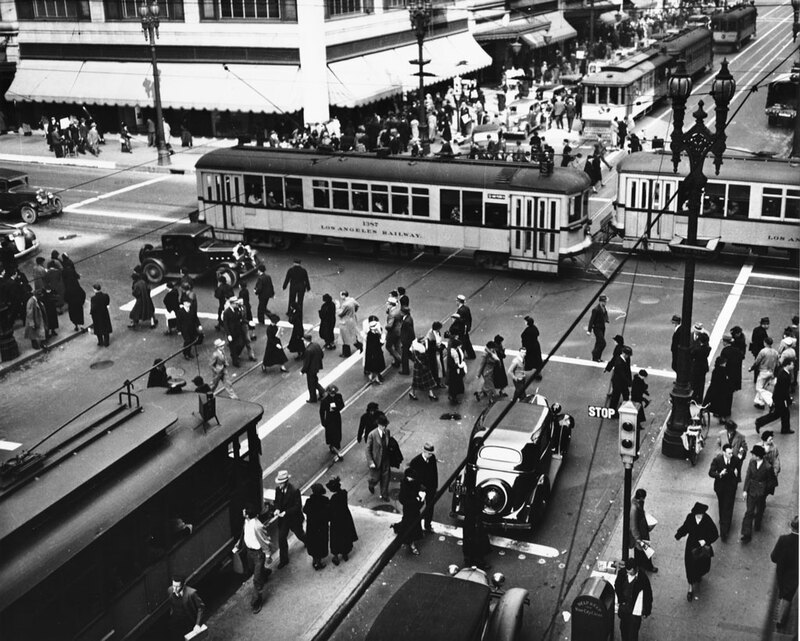 Among his many innovations in applied traffic engineering, including the pedestrian scramble, bus lanes, coordinated traffic signals and traffic signals that could be set off by the presence of an automobile or a pedestrian pushing a button. The name “Barnes Dance” commemorates Barnes traffic innovations. Barnes became an advocate of the pedestrian scramble after noticing the difficulties his daughter experienced trying to cross the street on her way to school. 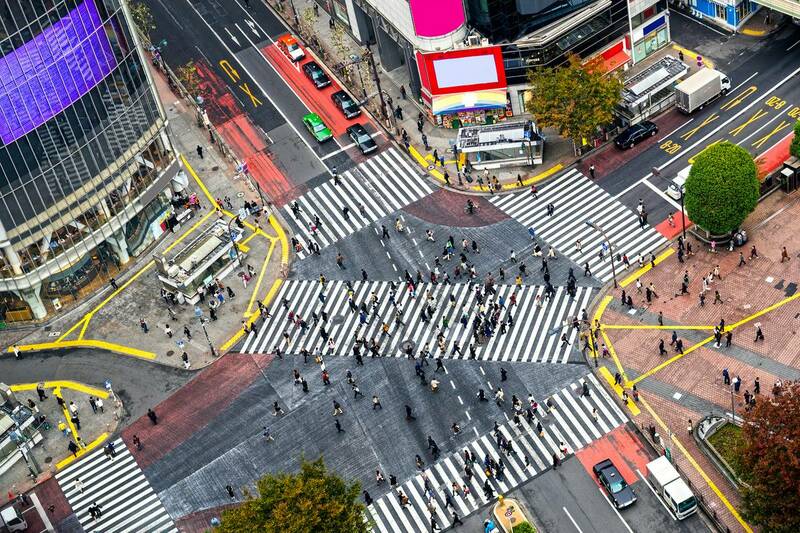 He encouraged the adoption of a street-crossing system that stops all traffic and allows pedestrians to cross intersections in every direction at the same time. Barnes first introduced it in his home city of Denver, Colorado in the 1940s and later brought it to Baltimore and New York City. The Barnes Dance as its affectionately know, was one of several traffic calming concepts Barnes pioneered in Denver. Barnes was the city’s first professional traffic engineer from 1947 to 1953, where he oversaw the conversion of Denver Tramways to bus and trolley coach. This was a big deal. The Denver Tramway streetcar system had been running regularly since 1886.The new Denver trolley coach was an electric bus that drew power from overhead wires using spring-loaded trolley poles. The changes Barnes introduced were significant, and impact us all on a daily basis. Thanks to Henry Barnes, we are all safer when we are out and about. Where did he get the idea to incorporate the Barnes Dance into the transit system? How do you think traffic scrambles make us safer? What are some of Henry Barnes other traffic innovation? Why was Henry Barnes the right man at the right time?